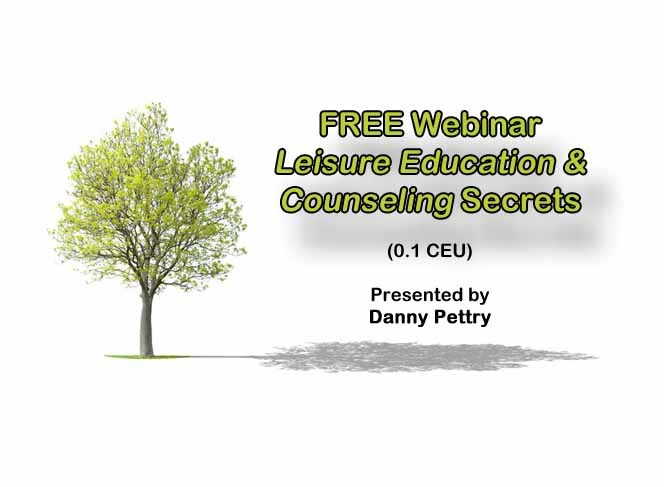 FREE webinar: Leisure Education and Counseling Secrets (0.1 CEU). Date: Feb. 15, 2017. Time: 7:00 p.m. (Eastern Time).